Dr. Milu patiently explained all the options possible and recommended the best approach. Made me feel at ease with the treatmentprocedures. Dr. Milu patiently explained all the options possible and recommended the best approach. Made me feel at ease with the treatment procedures. The doctor and her staff were kind, thorough, and fast! Nobody ever wants to get an emergency root canal but theprocess was smooth and painless and everything was communicated effectively so I could make appropriate decisions throughout. Highly recommend this practice, and I'll be bringing my kids for their routine care as well. The doctor and her staff were kind, thorough, and fast! Nobody ever wants to get an emergency root canal but the process was smooth and painless and everything was communicated effectivelyso I could make appropriate decisions throughout. Highly recommend this practice, and I'll be bringing my kids for their routine care as well. Smile Zone Family Dental provides quality family & cosmetic dentistry in Fremont. At Smile zone family dental we are committed to serve our patients by providing them with the personalized, gentle care that they deserve. Part of our commitment to serving our patients includes providing information that helps them make more informed decisions about their oral health needs. We are devoted to restoring & enhancing the natural beauty of your smile using conservative, state of the art procedures that will result in beautiful, long lasting smiles! If you are looking for a life-long dentist, visit our office. 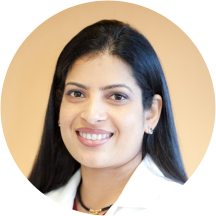 Dr. Milu Sinha has practiced dentistry in Bay area for more than 10 years. She has an extensive experience in general and various cosmetic dental procedures such as full mouth reconstructions, veneers and Invisalign. Dr. Sinha is an active member of American Dental Association, California Dental Associations and S. Alameda County Dental Association. Dr. Sinha likes to spend hours on brushing her skills with latest and advanced techniques in the dentistry. Dr. Milu Sinha is married and blessed with twin boys. When she is not working she enjoys spending time with her family. She enjoys travelling, reading, singing and dancing. Dr. Sinha has a warm caring personality which will make you feel at ease during your visit. She loves to be a dentist because every day she gets to know her patients with whom she builds a long lasting relationship on trust and care. All the staff were very friendly and professional. I appreciated the level of technology used in the office. Let me first start off with saying I have a sever fear of dentist and that fear was part of what kept me from seeing a dentist for over 10 years. The entire staff team at Smile Zone were the mostcaring, understanding, gentle, and most patient dental office I have ever seen. I wish I could give this office 100 star rating. The dentist and each and every staff member go the extra mile to make you feel as comfortable as possible. For me I had not seein a dentist for more than 10 years I had to have multiple root canals done (ouch right) NO! The same day and even by the next day I felt little to no pain after the root canals. The staff went above and beyond to put my nerves at ease and they did a terrific job. I can't thank everyone at Smile Zone enough for the top notch service and care they provided to me. I will be scheduling appointments for my husband and my children as well. I would recommend Smile Zone to anyone looking for a kind, gentle, and caring dentist. Thank You to all the staff at Smile Zone Family Dental you are truely amazing. I loved the place and concern of doctor. She helped me out in figuring out things well and providing good suggestions which were fair. Everyone was very polite and caring so I would definitely recommend this place. My experience with Dr. Sinha and her staff was excellent . Highly recommend her. Dr Milu was very friendly.She is the best dentist I have ever been to. She explained everything in details including what was wrong with my teeth, what kind of treatment is required along with the estimated charges.Her staff is also veryfriendly. My appointment was at 2:30 and I did not have to wait at all. I was lil bit nervous on the first visit..Because I had a bad experience with a dentist before, I was scared but all went to thin air after I met Dr.Sinha. Her associates from the lady in the reception to theNurses were all helpful and very much knowledged. They all did their job wonderfully and help me sit calm during the procedures.. Thanks once again & will surely go back when needed. She & her staff is very professional and knowledgeable. I had my cavities refill and it was painless. She was very gentle while giving shots. I would surely recommend her. Incredibly pleased with Dr. Sinha and her staff. The receptionist is delightful and courtesy. In addition, the dental hygienist displayed extreme patience and thoroughness when flossing my teeth. Dr. Sinha is an exceptional dentist. She proposed a comprehensive dental outline. She is highly knowledgeable. Highly recommended. She was friendly,very gentle during the procedure and explained things really well. Dr. Sinha as well as her staff are delightful. They made my experience comfortable and pleasant. I am extremely pleased with my cleaning. Wow! I'm not a kid but I am a big baby when it comes to going to the dentist. Doctor and staff have a gentle touch with their state of the art tools as well as demeanor. I had a deepcleaning , crown and fillings to do. The start of it was today, and I did not hesitate to return ASAP to finish the procedure because I have confidence in Doctor Sinha, she is truly gifted. I'm very pleased with her staff and herself for the professionalism and gene touch. No pain! I had a great time. Dr. Sinha was excellent, very good with Faith who's a minor. When we got home she asked if we could go back the following day. She is very kind and caring. She went above and beyond what is expected to take care of me. Her office was opened on Sunday which was great in an emergency situation. Vary informative, has patience and helpful. Would definitely recommend to others.